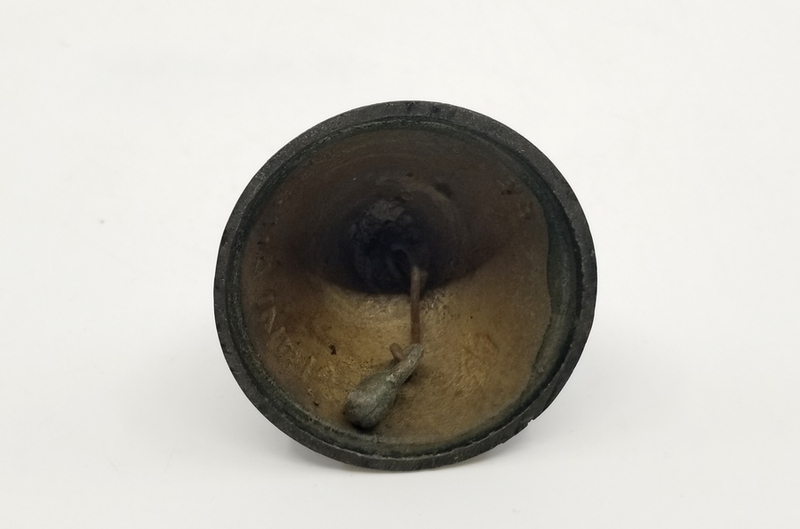 This is a vintage brass bell that was sold at Disneyland as a souvenir in the 1960s/1970s. 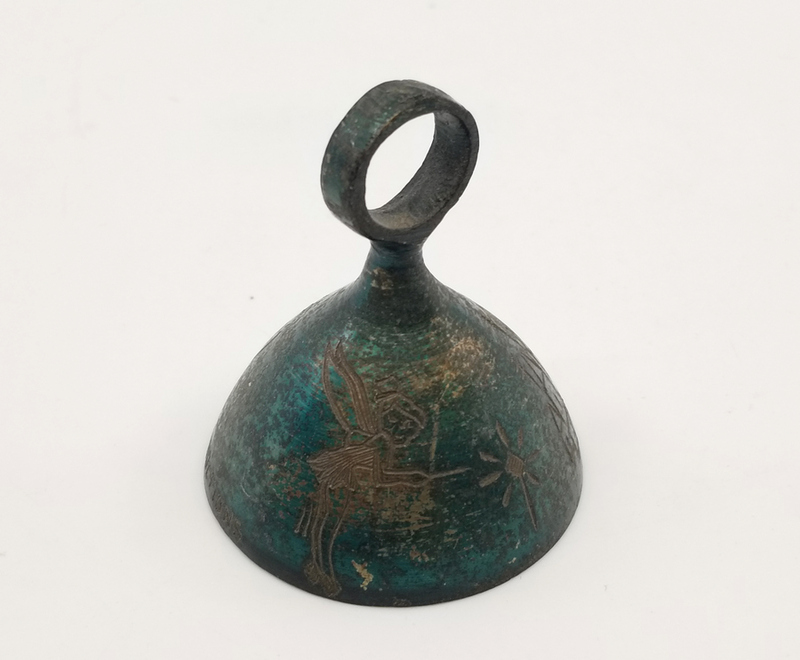 The handle of this hand bell is a figural image of Tinker Bell. The bell measures 3" x 1.25" x 1.25" and is in very good used condition with some patina from age.